Download and view our Forms here. Each month's tuition is due on the first class of the month. You may pay with cash (in an envelope with your name on it) or a personal check (payable to Lux Venit), although checks are preferred. You are welcome to pay more than one month's tuition at a time. Please indicate the number of months on your envelope or check. There will be a $25 charge for returned checks and you will be required to pay with cash in subsequent months. In order to maximize learning, class behavior needs to be orderly and respectful. 1. Class begins promptly. Please be seated and ready to begin. 2. Older students need to bring their folders with music, pencil & colored pencils to each rehearsal. 4. Older students are expected to practice at home to be prepared for each rehearsal. Minimum weekly practice times are 30-minutes for Upper elem., 45-minutes for Men's and Ladies' Choirs, and 60-minutes for Chorale. 5. Students are to encourage and support one another. 6. During rehearsals, older students need to take notes in their music and study at home observing these musical markings. 7. All students are expected to be respectful, attentive, well-mannered during class, follow instructions the first time given, and avoid visiting until class is over. To minimize distractions, students need to use the restroom before or after class. Please dress modestly. For classes, skirts/dresses should be below the knee and shorts should come just above the knee or below. Spaghetti straps or tank tops are not allowed, and girls’ shirts should not be low-cut. Shirts, pants and shorts should not have any inappropriate words or pictures. There should be no visible undergarments and nothing skintight. If the director views something as inappropriate (even if it is not currently in the dress code), he will ask the student not to wear it again. Please respectfully adhere to these requests. Excellent attendance to rehearsals, extra rehearsals and concerts is imperative for a successful learning experience. Students will be given a calendar at the beginning of the semester with all the rehearsal and performance dates for that semester. In the event we are invited to perform later in the semester, Mr. Carr will check the availability of the students and parents before making the performance mandatory. Otherwise, all dates on the calendar are mandatory and any student who will need to miss more than 1 performance or 2 rehearsals per semester should make arrangements to discuss this with Mr. Carr prior to enrolling. 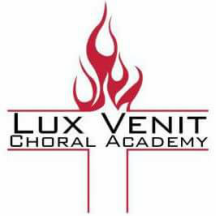 A more detailed attendance policy for the older choirs is included in their Lux Venit handbook. ·Taking attendance, checking homework, announcements, creating and maintaining a directory, banquet and party organizers/helpers, shirt orders and distribution, Region Choir organization, and making copies. *Please indicate on your registration form if you are interested in assisting in one or more of these areas. Parents may stay to watch during class if they would like. To minimize distractions, please sit toward the back of the classroom, turn down cell phones and use discretion if you have small children with you.